CHICAGO (WLS) -- Police issued a new community alert after two robberies occur within minutes of each other in Chicago's Lakeview neighborhood. Two men got into a shootout with an off-duty Cook County sheriff's deputy in the 1900-block of West Belmont Avenue around 11:30 p.m. Wednesday. 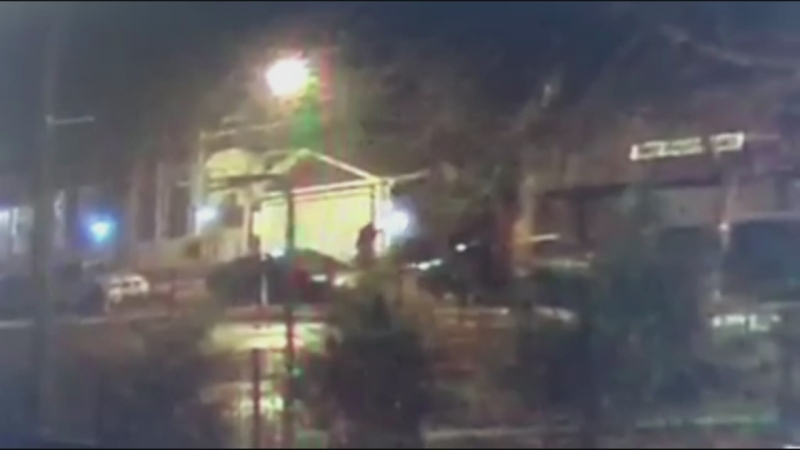 Security camera video shows two people at the scene. One person turned toward the officer and fired twice. The deputy fired back. He was not injured, but bullets hit two windows at nearby Jahn Elementary School. They got away with his cell phone and some cash. The suspects remain at large. Police have released a vague description. 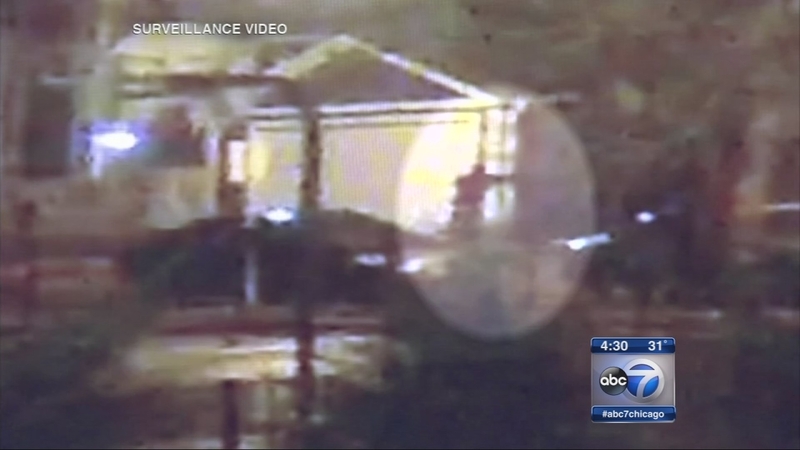 Surveillance video from a nearby store shows gunfire in Roscoe Village. Another robbery occurred minutes later, in an alley in the 3200-block of North Clark Street. Police said two men stole a victim's wallet, cell phone and backpack. The suspects in this incident are described as two African American men in their early to mid 20s with dark complexions, around 6 ft. to 6 ft. 2 in. tall, weighing 170-180 lbs. They were wearing black skull caps, black hooded sweatshirts and black pants.